Thank you for a rational reply. The value of the art market is highly subjective and completely abstract. I think there are other factors involved with market prices we see set for these absurdities. First is to devalue real artworks. Real as defined as the elevating of the human spirit, of great beauty or exhibition of skill, a punctuation on the human or natural world. The real by comparison is devalued, in monetary terms, compared to the absurd. Money is influence. Secondly, about money; the commercial art world is a vehicle for money laundering. What better way to rinse hundreds of millions of dollars. Who cares if it's art or not, it's about business. That's the whole point and always has been, from the first neanderthal cave art to anything you see today. And despite the deliberately anti-intellectuall sniping by middle-brow people about genres of art that they don't understand, high art still happens, and very little of it presenting pretty-pretty pictures of flowers. Art is about a beauty and a skill. If something require well honed skills in the end produces an object that is beautiful that is a very definition of art. That object could be either practical and ornamental or both. Art is not always beautiful. That object could be either practical and ornamental or both. Provided it's created as art. 19 Million videos on Modern Art on YT. A gallery is probably a better place to see art. The Centre for Contemporary Art at Ujazdowski Castle is certainly a good place to see it. You stated you don't click on links to videos, news items or anything else. I know people do, they just won't admit to. A link offered and rejected during contention is about the perceived rejection of power. That is, "I won't do something that you want me to", an attitude very prevalent here for some reason. This attitude amounts to the intentional rejection of full discussion and devolves into argument for arguments' sake. There are 19 Million videos. You would not know what galleries or works are showcased within any of them considering you don't watch forum links, but rather prefer to read. Max Beckmann's tryptichs for instances are hardly "beautiful" in the sense of traditionally comforting or pretty, yet highly aesthetic in my opinion. yet highly aesthetic in my opinion. And certainy very challenging. They produce quite a profound effect when you see them up close. And how they do. Add to Beckmann, once again, the likes of Edward Hopper's timeless studies of American lonliness, George Bellows and the Ashcan School, Charles Sheeler's images of US industry, still factories and workmen as well as the photographs of Ansel Adams, August Sander and Eugene Atget, one sees immediately that overwhelming difference between art vs. gimmickry!! Then it is no art. 'Gimmickry' has been a tool of artists since before the renaissance. Art is not always a beautiful, I-S, sometimes it is challenging, difficult and uncomfortable. Almost forgot about "trompe l'oeil" also, sorry! In some of the most valued early Renaissance works of art, particularly the Flemish Old Masters, perspective simply isn't used; they did not know about it then. I remember spending many hours when I was younger at this museum. 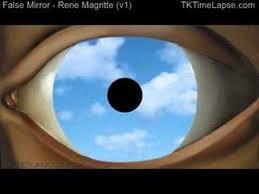 I like Magritte also. They had an exhibit here a couple years ago it was awesome. Who likes Salivador Dali, remember this one? I don't dislike it - it's a very interesting and effective technique if done well but I find it hard to get hugely enthusiastic over it. It may not be modern now, but it was quite radical back then, so it's important within the history of art. Love Magritte. Prefer him to Dali. You know that one of the stone men? Years ago when I was a slip of a girl :) I did a version of that in pencil - it was surprisingly good! I always enjoyed copying even though it was deeply frowned upon when I was in art college. I still think it's a great way of learning. Unfortunately in one of my many house moves my old 'when I was a girl' portfolio went astray and with it my youthful homage to Magritte - woe unto me! What about David Hockney? If you're not familiar with him, you should take a look. He's one of the greatest living painters in my view. Love Magritte. Prefer him to Dali. You know that one of the stone men? Yes, Im familiar with the stone men and agree with you as to preferring him over Dali. No, I just took a quick look and quite impressed! Im going to check out more, thanks!! 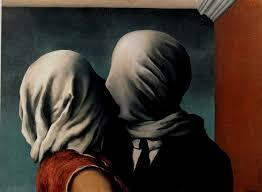 Love Magritte. Prefer him to Dali. 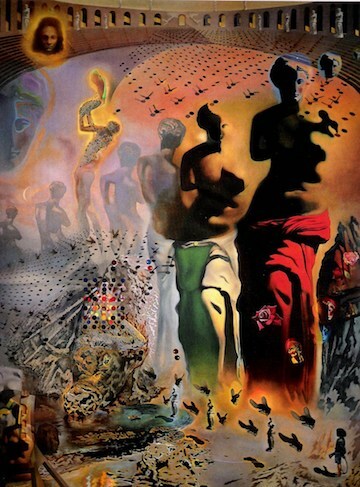 If you ever have the chance, visit the Dali Museum in Figueres, Spain. You might change your mind after that. Its a really nice area as well, blows away Cali. Nicer beaches, less weirdos. Didn't know that we have one in the US, too. Very interesting. Next time I'm in Florida, I will try and visit. The one in Spain is the original, by the way. It's very close to Dali's former residence in Cadaques, where he had a crazy looking house. Actually, it's a very nice museum. They have a lot of his art work, not to mention it's beautiful around the Tampa Bay and St. Pete, Bh area. I dig the mustache he looks like a crazy dude as well. His art was good (though on a far lower level than Picasso), his personality was however unpleasant. With Hopper, it's always what could be happening just outside the image that intrigues. There are some very interesting American artists, Robert Ryman, Brice Marsden, Johns and Rauschenberg; all of who will stand the test of time. Pop round to the Metropolitan Museum of Modern Art in your city. When I was there I found his works on display there to be entrancing; Jasper Johns too. I like this guys work. 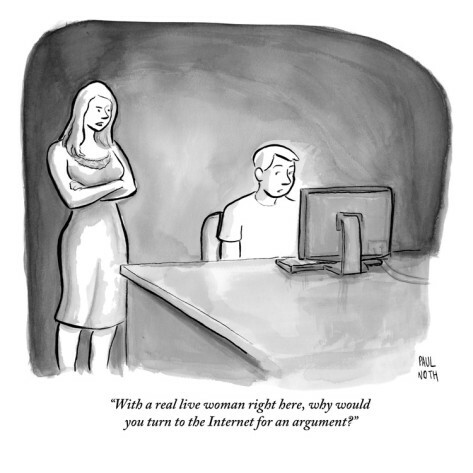 Which of course means some in this forum will automatically disagree. I'm certain Shuplyak cares. No vomit, urine or feces to be seen anywhere. It seems he's not attempting to convey his nightmares, abused childhood or a bad acid trip. Absent these traits in his work he'll never be rich that way, but oh well. Accolades will have to do. I saw his retrospective in Spain, years ago. A very bleak artist, very abstract and of high quality. He's fetching high prices now. The few canvases he used colour in are intriguing; you have to see them as part of the whole corpus . It's fascinating that like Pollock, his work is very hard to fake effectively. He had a lightness of touch that Robert Motherwell (arguably a better artist) didn't. I find Motherwell's stuff rather claustrophobic, and indeed that was probably his intent. Do you like Chris Ofili's stuff? It's intended to be difficult yet uses colour very well. I still prefer Grant Wood, Thomas Hart Benton, going back to Fairfield Porter and George Inness, any day!